Product prices and availability are accurate as of 2019-04-23 07:29:02 UTC and are subject to change. Any price and availability information displayed on http://www.amazon.com/ at the time of purchase will apply to the purchase of this product. As he goes about exploring and contributing to his new nation’s growth, Adam discovers how the first generation born in ‘White’ Australia must, in wider circles, hide the ‘terrible truths’ of the convict blood in his veins. He nevertheless becomes a valued ‘Governor’s Secretary’ and is elected to the new nation’s government. 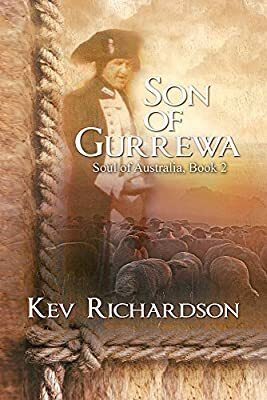 5 Stars...Son of Gurrewa is a worthy sequel to Award Winning Gurrewa. Kevin Richardson has the unique ability to tell his country’s history as it affects people, by letting his lifelike characters tell it from their own minds in their own words. This preamble on Australia’s convict beginnings makes the reader believe he or she is really there, influenced by the real events of those days. You cannot but help feel part of it! His story represents the real life history of New South Wales' struggles to become more than just an overflow prison for England's criminals. It bares elements of history that earned Australia the reputation of being The Lucky Country – the Land of Opportunity. where good luck and stamina combine to imbue a robust people.